On Tuesday, Hugh Jackman, a man so talented that he played Wolverine without researching wolverines and realizing they’re real, went on The View with director Jason Reitman. Host Sunny Hostin asked Jackman about his recent 50th birthday party and how “the one headline that came out” was that his longtime friends Ivanka Trump and Jared Kushner were in attendance. Do I sense Jackman tense up just a tiny bit here? 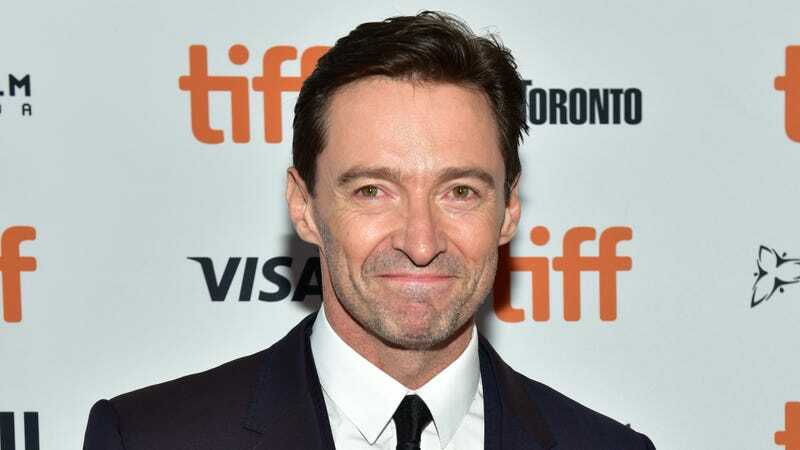 Jackman offered that he’s known them for 15 years and he and his wife Deborra-lee Furness are “in a similar group of friends,” to which I say—what group of friends is that? Is everyone Hugh Jackman hangs out with facilitating an administration that puts children in cages? Very weird group, I think. “They’ve always been so kind and generous and I can tell you [about] handwritten letters that Ivanka’s written to my mother-in-law when she won the Order of Australia—that I didn’t know about,” he says. “And kindness,” he adds, with emphasis. Well then. “Let’s say your friends of 15 years father became president, whether you agree with the politics or not, do you just dump your friends?” Jackman asks. “And I’m like nah, I don’t understand.” Weirdly, Jackman leaves out that Trump actually works for her father, the president, in his administration, the Trump administration. Imagine being friends with someone who helped put children in cages! Hugh Jackman doesn’t have to imagine it! Watch the exchange below; it starts around 16:10. Wolverines (the Animal) to Wolverine (the Superhero): Call Us by Your Name!